Dr. Steve Ormerod is a Professor of Ecology in the Cardiff School of Biosciences at Cardiff University in the United Kingdom. He is also Chairman of Council of the Royal Society for the Protection of Birds (Europe’s largest wildlife charity), Chair of the Scientific Development Group of the UK Centre for Ecology and Hydrology, Vice-Chair of the Welsh Water Environment Advisory Panel, and Co-Chair of the Cardiff Water Research Consortium. Steve received his PhD in River Ecology from Cardiff University. He has been recognized with many awards and honors, including being an elected Fellow of the Society of Biology, the Learned Society of Wales, and the Chartered Institute of Ecology and Environmental Management, as well as a Fellow of the Winston Churchill Memorial Trust. Steve has also received the Ralph Brown Expedition Award from the Royal Geographical Society, the Past-President’s Medal of the Institute of Ecology and Environmental Management, and the Marsh Award for Marine and Freshwater Conservation from the Zoological Society of London. Steve is here with us today to tell us about his journey through life and science. 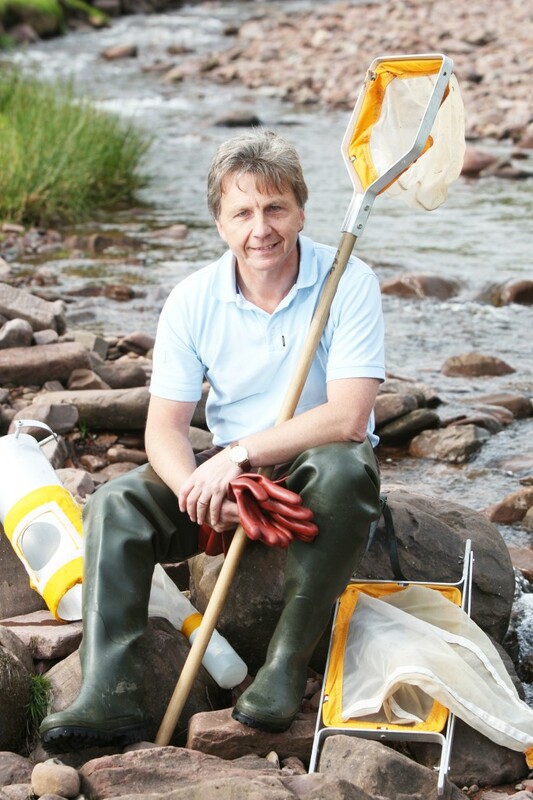 With over 270 scientific publications, Steve Ormerod has been described as the leading applied freshwater scientist of his generation for work on global change effects on freshwater ecosystems and their biodiversity. Steve is a passionate voice for nature conservation and environmental awareness in the government, business and NGO sectors. He has been a member of Council of the Freshwater Biological Association, British Trust for Ornithology, the Rivers’ Trust and the Institute of Ecology and Environmental Management, of which he was President. For the UK Government’s National Ecosystem Assessment (2011), he co-led the assessment for freshwater ecosystems, and as served also on the Countryside Council for Wales, Institut Français de la Biodiversité and many other government advisory bodies in Britain, Ireland and Europe. He is married to the landscape ecosystem ecologist, Dr Isabelle Durance, with whom he shares a family of 4 boys.